Turkey, which keeps targeting the U.S. Kurdish allies in Syria, has taken a self appointed role of being one of the leading players in the Middle Eastern geopolitical arena. The conflict between traditional and new political powers that began as a pretext of fighting the terrorists of the so-called ‘Islamic State’ is gaining momentum. The center of friction between the West and East remains in Syria but the conflict’s geography and character are changing their configuration. 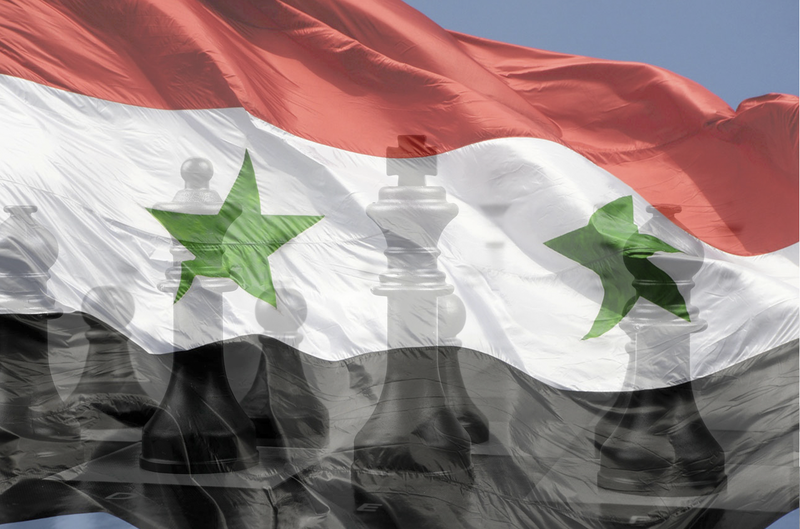 A routine U.S. operation involving “regime change” in yet another ‘oil state’ and Washington’s attempt to deprive Moscow of her last ally in the Arab world, jeopardized the centuries-old world order. For these parties, the Syrian conflict is not about tackling the terror threat but instead all about pursuing their own military, political and economic goals. All the while, the world witnesses the breakup of traditional military, financial and economic alliances, transforming ideas and ideologies. During his electoral campaign, U.S. president Donald Trump called NATO ‘obsolete’, which ignited fierce debates in journalist and expert communities as well as in western political circles. The media were full of screaming headlines about the organization’s upcoming collapse against the background of the growing ‘Russian threat’. Trump may have meant the financial issues and blamed the U.S. Kurdish allies for refusing to pay for their security but after he was sworn in, he seems to have changed his mind. However, Trump’s words turned out to be true, and not only for NATO but for the EU as well. Both organizations failed to adapt to the changing world and to cope with the aftermath of their main goals. The collapsing European Union is attempting to restrain the impoverished Europeans tired of the inflow of migrants and prone to nationalism and Euroscentrisim – while BREXIT is still an issue, a far-right candidate loses just a couple of percentage points to a ‘traditional’ European at the French presidential elections. NATO has been preparing to defend Europe from the mythical ‘Russian tanks’ for so long that it neglects real problems and the EU again and again has to mourn for the victims of terror attacks and to puzzle over the issue of migrant criminal activity. It’s no surprise that in these conditions, Turkey, a traditional U.S. ally and the only NATO member in the Middle East, defiantly throws down a challenge not only to Washington but also to the whole Western world. Referendum on proposed amendments to the constitution has shown the Turkish authorities are set to weaken EU integration, which has been seen by Brussels as a leverage. More importantly, using impunity as a NATO member, Ankara has increased efforts in fighting against the Kurds and turned it into a barefaced genocide. Turkish airstrikes in northern Iraq and Syria, which killed a number of U.S.-allied Kurdish fighters, sparked deep concern in the White House. In other words, the United States is in panic mode. The Pentagon can launch as many Tomahawks as it wants to the desert and fill terrorist holes with millions of dollars in TNT equivalent, but it still has no substantial leverage on Turkey. Washington is losing control over its allies and it’s image in the international political community is suffering enormous losses as well. Some American experts have already suggested that Ankara should be excluded from the alliance. Refusing to recognize that the U.S. has obviously lost its position in the Middle East and its control over the allies in the so-called ‘Anti-Assad’ coalition as well as being wary to show NATO as a paper tiger, the Department of State “pocketed its pride” and stated that despite the incident “Turkey remains a key U.S. ally in the fight against the Islamic State”. The only question is how long the U.S. Administration will sit back and allow Erdogan to continuously and deliberately provoke Washington. Ms. Sarah is an informed, aware, investigative journalist. She is a Lady of conscience, capable of critical thinking with integrity. She seeks and verifies FACTS, and hold truth as an aspiration. Thank you Mr. Hazeem, I appreciate your comment and encouragement. Thank you for all that you do in spreading the truth as well! You are inspirational.